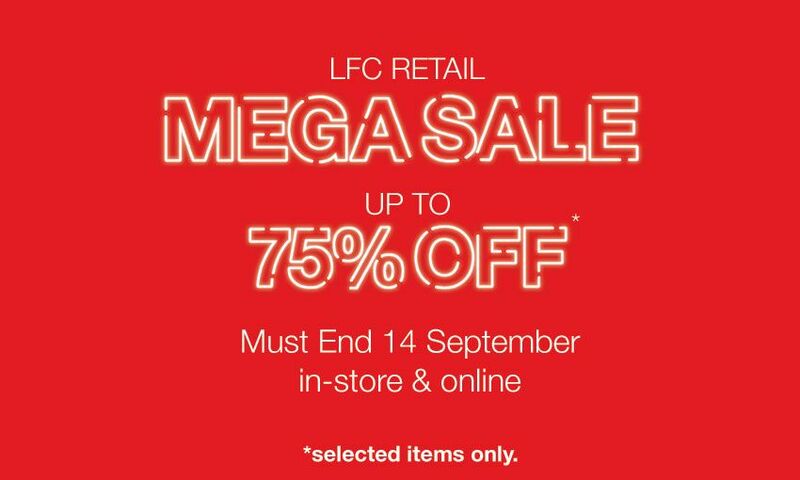 Get up to 75 per cent off in LFC's Mega Sale! Liverpool fans can get up to 75 per cent off on selected lines for a short time as part of LFC Retail's Mega Sale. Prices on men's, women's, and children's fashion, as well as accessories and souvenirs are all being slashed as part of the club's biggest ever in-season sale. Savings are available at all LFC stores and online at http://store.liverpoolfc.com/sale/. Don't miss your chance to kit yourself out by visiting one of our stores, or before Saturday's meeting with Manchester United at Old Trafford. The sale must end on September 14 - so get your bargains now!